What Do Selling Yourself and Driving a Bus Have in Common? Selling yourself is hard. Here is a new way of thinking about it so you don’t get stuck serving the wrong clients (and so people actually understand what you do). Imagine you are driving a bus and you stop at the bus stop to pick people up. One passenger pauses to ask you, “Is this the bus that goes to Grand Central Station?” You think to yourself, “I know how to get to Grand Central Station, so I could take this person there, and it’s not too far out of the way…” so you say “Yes!” and the person gets on the bus. This might sound silly for a bus driver to do because they have a set route that they drive every single day with scheduled stops that are the same every time. But, I see business owners do it all the time and it is a mistake. · They don’t have a deep understanding of their client’s needs. · They don’t have a repeatable process to walk their clients through every time. · They believe they can help everyone (and most of the time this is true – a lot service providers could help a lot of different kinds of people) and they haven't chosen one specific thing they want to help people with. · They do not feel comfortable selling themselves and so the second someone asks, “Can you help me with _____?” they feel validated, their brain releases a dopamine/serotonin/oxytocin (aka happiness) hit, and they feel inspired to help that person so they say “Yes!” (That is an overly simplified explanation for what happens from a neuroscience standpoint, but you get what I mean). · Their prospects are really vague when they first come to them and they don’t really know what they want, but they think they do and it comes out as “Facebook Ads, Marketing Funnel, Branding Help, Closing Sales, Copywriting, Lead Generation…” because they are so close to their pain point that they can’t see the bigger picture. You are not a bad person for wanting to help everyone, but you are doing yourself a disservice by helping everyone and that translates directly into your sales. Let’s go back to the bus driver example. 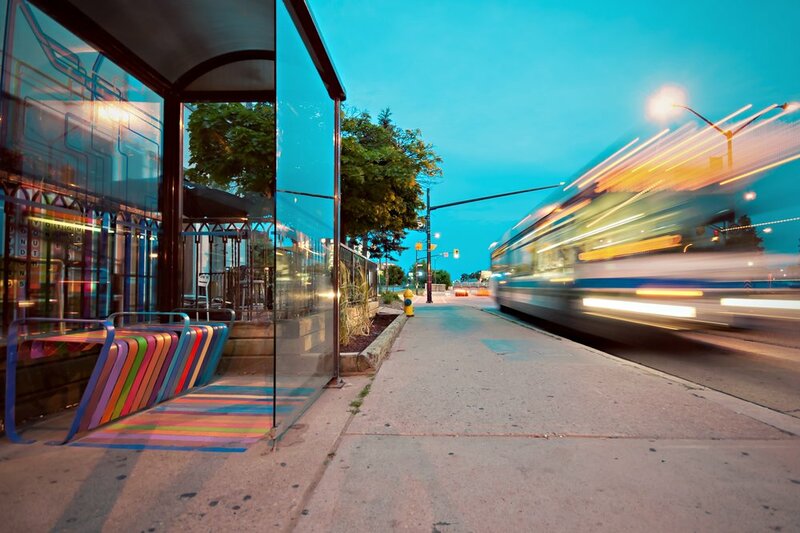 Your business is the bus and your clients sign on at one bus stop and sign off at their final destination. Your business carries them from 'point A' to 'point B'. It is your responsibility to know exactly what 'point A' is and what 'point B' is so that when people try to get on the bus at a different stop you can direct them to the bus that actually serves them. If you take on clients that are not at the correct 'point A' for your business then they are going to feel buyers remorse, they are going to want to back out of contracts, they are going to drag their feet on getting results, and they are not going to sing your praises to all of their friends to create word of mouth referrals for you. Everything changes when you identify your bus stops and you don’t let people on before they are ready to go to their final destination. This doesn’t mean you slam the doors of the bus closed and tell them to wait for the next bus. You can still be helpful! · Build strategic partnerships with people who serve similar clients to you so you can point your prospects in the right direction and they can get the help they need. · Let those clients know the things they need to focus on in order to be ready to come back to work with you. · Tell those clients how to reach you when they are ready to get started (after they have done the work they need to do to prepare). · Your ideal clients flock to you and ask you to sell them your services. · Your current clients refer people to you before they’ve even finished working with you. · Your strategic partners refer business back to you and you no longer feel like you’re doing all of this alone because they also become your friends. · Your testimonials blow you away as you read them and realize you’re making an even bigger difference than you set out to make. If you are ready to have a steady flow of word of mouth referrals for your service based business and to feel more confident selling yourself, I’d like to invite you to a complimentary consultation to see if we are a great fit!